RUSH: Okay, folks, I’m gonna go out on a limb here. It’s not too big a limb, but I’m gonna go out on it anyway. I think all of this collusion, Trump-Russia, obstruction of justice, this whole thing is starting to unravel big time on everybody involved in it on the DOJ and the FBI side. And I think these Comey memos are the exclamation point to the whole thing being a hoax. There is nothing here. RUSH: Yes siree, Bob. 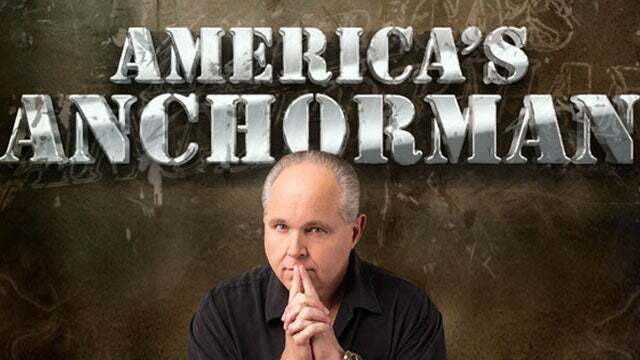 We are gonna wrap up another busy broadcast we’re here at the Limbaugh Institute for Advanced Conservative Studies. It’s great to have you with us. The telephone number if you want to join us, 800-282-2882. And you can send an email if you want. It’s ElRushbo@eibnet.us. Let me give you some reasons why I think this is all beginning to fall apart. Everybody’s getting desperate, because what’s happening now as more information is being revealed is we’re finding out that there hasn’t ever been anything there. There is no “there” there. There never has been any collusion. And Comey doesn’t have any. The DOJ doesn’t have any. The FBI doesn’t have any. If they did, it would have leaked. Everybody’s been breathlessly waiting for the next reveal. The Comey memos were supposed to be a reveal. 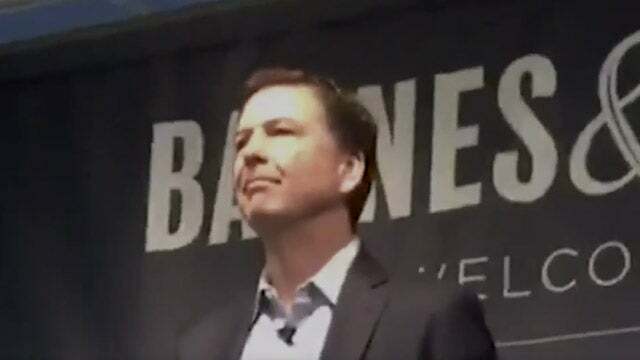 The Comey book was supposed to be a reveal. Comey testimony was supposed to be a reveal, and at every one of these reveals we’ve got nothing. We have no evidence of anything. You look at these Comey memos. And folks, I’m not gonna waste my time going through them on a detailed basis, because what they are to me is simply a new way of positioning bull crap and trying to come up with a different stink about it. It’s not working any which way they’ve tried it. You look at the Comey memos and this is what generated the special counsel? This is incredible! These Comey memos were leaked by Comey on purpose to his friend Benjamin Wittes or Wittes, I don’t know how he pronounces it, W-i-t-t-e-s, with the instruction from Comey to Wittes that these things end up at the New York Times. That all happened. That was supposed to trigger a special counsel, which it did. There’s nothing in these memos. The memos do not prove collusion. The memos do not prove that Trump tried to obstruct anything. If anything, they show that Trump was worried that he might be blackmailed by these people. He did not ask Comey to look the other way and let Flynn off, let Flynn go. Didn’t do any of this. The context has been added. You look at these memos, you go through them, and you become incredulous that this is really what triggered the independent or special counsel? Look at the time that we have spent. Look at the distraction to the country this has been. Look at the futility of all of this. First the original claim that Trump colluded with Russia. Then we find out that that claim stems from an opposition research document written by people paid by Hillary, i.e., not real, not intelligence. There is no basis in fact. There is no evidence. There is no verification. There is no corroboration for any of it. It was used to secure a FISA warrant to spy on Trump and his people. I mean, this is simply outrageous. It is desperation piled upon desperation. It is the Washington establishment totally bollixed and flabbergasted over the election result and panicking and doing whatever they can to reverse that result. And they’ve never had anything. 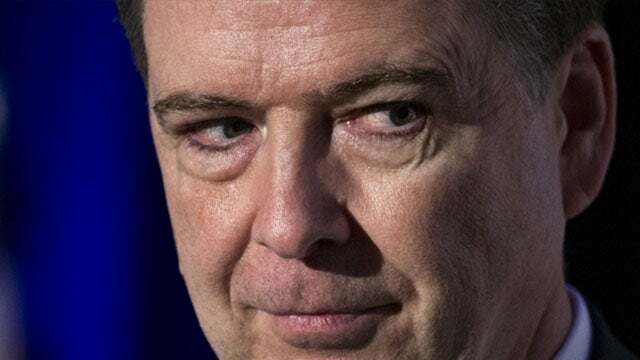 These Comey memos, folks, there’s nothing in these memos that would even — if you grabbed these memos and you didn’t know anything else, if all you had was the Comey memos, and you read them, there is no way that you would demand an investigation of anybody, especially Trump or anybody on his side. There is nothing in there that warrants all of this. You wouldn’t do it. If you just picked these memos up and you knew nothing else and you read them, you would not think that there needs to be an investigation to find out what is going on. Because nothing was going on. There is no obstruction. There’s no collusion. Comey does not definitively corroborate or prove any of those. In fact, everybody’s believed for the longest time based on what Comey has said, that Trump was trying to manipulate him to go easy on Flynn. (impression) “You know, kind of let the guy go. You know, this guy has really not done that much.” It’s the exact opposite! In these memos, there’s no indication that Trump was asking Comey to look the other way on legitimate crimes committed by Flynn. In fact, in these memos, James Comey does more defending of McCabe than Trump defends Flynn! Now, at each of the stages or each of these reveals, the hoped-for result was a mounting rage and anger on the part of the American people to demand that Trump be thrown out, that Trump be impeached, that something happened to Trump — and every one of these reveals has failed. And now a year has gone by with one of the most expensive, broad-ranging, intense special counsel investigations that obviously hasn’t produced anything of any value because it would have been leaked if it had. If these people had the goods on Donald Trump last month, two months ago, nine months ago, we would know about it because the objective has been to poison the minds of the American people into demanding something happened to Trump. The secondary purpose has been to try to come up with something that would work in the legal sense — such as impeachment — that would get rid of Trump. But there hasn’t been a single leak of anything that would warrant any of that, including angering and engendering anger in the American people. Comey’s trafficking here in what he labels as “secret.” Secret. His memos have got secret… Looking at the contents of his memo, he thinks he’s got not a top secret document but he’s got evidence in there or information that should be held close, and he’s revealing it anyway. Now, we’ll go through some of this stuff to back up my out-on-a-limb opinion here. But if something like this had been tried against Hillary Clinton or Barack Obama, the headlines would be entirely different. The Democrat Party, since the Mueller investigation isn’t gonna go anywhere… This is my opinion, but I believe all of this is true. The Democrat Party — frustrated, up against a wall, realizing that nothing is gonna come of this that they want to come of it — has announced a lawsuit against Russia, the Trump campaign, and WikiLeaks for conspiring to disrupt the 2016 election! “The Democratic Party on Friday sued President Donald Trump’s presidential campaign, the Russian government and the Wikileaks group, claiming a broad illegal conspiracy to help Trump win the 2016 election. “The multi-million-dollar lawsuit filed in Manhattan federal court says that ‘In the Trump campaign, Russia found a willing and active partner in this effort’ to mount ‘a brazen attack on American Democracy…'” (sic) They’ve got nothin’. Now they’re going civil. This is equivalent to the Goldmans going after OJ, except OJ did it and got off unfairly in court. You know what this is? This is a last-ditch effort to throw something against the wall and hope that it sticks. It’s a publicity stunt. It’s a fundraising stunt. The Democrat Party knows that its base is insanely rabid, that its base has been built up to this impossible-to-meet expectation that Trump is guilty, that Trump colluded, that Trump and Putin are buddies, and that Trump was going to be discovered. He was gonna be indicted, he was gonna be impeached, and we were gonna get rid of Trump long ago. None of that has happened. So the Democrat Party’s gotta do something with this rage and anger and keep it focused at Trump and the Republicans rather than on the Democrat Party. So here comes this lawsuit that I’m gonna tell you right now, is three things. It is a publicity stunt. It is also a back door way to try to begin the whole process (as happens in lawsuits) of discovery. You see, what they’re gonna say is (laughing), “The evidence is there! It’s there, but poor Mueller, he just can’t find it! “Trump has been an expert at hiding it,” and so the Democrats, they’re tired of waiting, and they’re just gonna go get it themselves and are gonna get it via discovery. They’re gonna get it via deposition, and they’re gonna finally produce the evidence that Trump colluded with Russia, and they’re gonna link Trump and the hack of the Democrat network and then providing all of that data to WikiLeaks. Well, we already know that none of that happened. We already know that the WikiLeaks data, the John Podesta email happened because he fell for a phishing attack in his email program. He was not really the victim of a hack. The Democrat National Committee computer network was hacked, but they didn’t let the FBI or anybody else in (other than their chosen people) to forensically analyze what had happened. This is going to eventually be thrown outs of court. Mark my words. Like everything else about this, it’s going to end up going nowhere. Now, this takes me to the news that Trump hired Rudolph “Rudy” Giuliani to join his legal team, and upon accepting the gig, Rudy had something fascinating to say. “I’m going to join the legal team to try to bring this to a resolution. The country deserves it. I’ve got great admiration for President Trump. 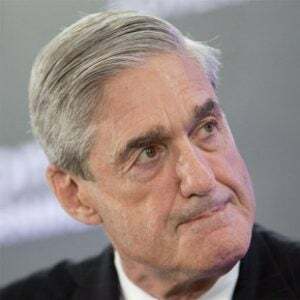 I’ve had a long relationship with Bob Mueller. I have great respect for him. “He’s done a good job. 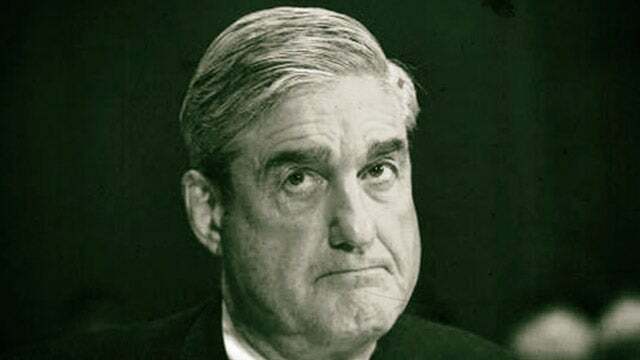 [But] I’m going to ask Mueller, ‘What do you need to wrap it up? '” Because Rudy Giuliani said he can get this wrapped up inside of a week or two. I’ll tell you what is going on here. I think — and, you know, allow me some latitude to be wrong, because this is partially out on a limb, but it’s not a wild guess. I’m reading between the lines. I’m seeing the stitches on all the curve balls and fastballs here. And what I think is gonna happen, is I think Rudy’s gonna sit down with Mueller, and they’re gonna concoct a way to end this fiasco in a graceful way. I think the Mueller team is so far out there and gone that they are at a point, how do they…? However this ends, how do they do it maintaining their reputation? Believe me, that matters to swamp dwellers. Folks, it’s a year. It’s a year since Mueller has been doing his investigation or close to it. It’s a year and a half that the Drive-By Media and everybody have been desperately trying to find evidence or allegation that (chuckling) a Clinton opposition research document is true. They’ve been trying to prove something that didn’t happen. They know it didn’t happen. They know they were in on the hoax. So now it’s time to find a graceful way out of this, I believe. And I think that’s what the presence and the hiring of Rudy Giuliani is all about. And if I didn’t know better, I would say the objective is to end this in such a way as to make it look like it never happened. I think that may be the objective. Now, that’s gonna be very hard to do, because it did happen. But there are ways. Believe me, the swamp — putting its heads together — can find graceful ways out of anything. The biggest problem they’re gonna have is this rabid, insane, and unhinged bunch of people that vote Democrat out there that they have made believe. They have convinced that Trump stole the election, that Hillary was gonna win and that Trump colluded with Russia and stole it. That’s the big obstacle they have. They got everybody on their side believing that that’s what happened, and it didn’t. So they’re gonna have to find a way out of this — and this Democrat Party lawsuit of Trump and his campaign and the Russians? (laughing) You talk about embarrassing and desperation? What do they think they’re gonna find if Mueller and his 16 highly trained legal beagles couldn’t find? They don’t explain to find anything. This is about a PR student stunt. This is about continuing to make sure that Democrat donors continue to donate, send money in — and maybe if this can get some opposition research in the form of depositions before this thing is thrown out, then there’s maybe a little bonus to doing that.